IQS Directory provides a comprehensive list of miniature load cell manufacturers and suppliers. Use our website to review and source top miniature load cell manufacturers with roll over ads and detailed product descriptions. Find miniature load cell companies that can design, engineer, and manufacture miniature load cells to your companies specifications. Then contact the miniature load cell companies through our quick and easy request for quote form. Website links, company profile, locations, phone, product videos and product information is provided for each company. Access customer reviews and keep up to date with product new articles. Whether you are looking for manufacturers of mini load cell s types, mini force sensors, mini load cells rf controls, or customized miniature load cells of every type, this is the resource for you. 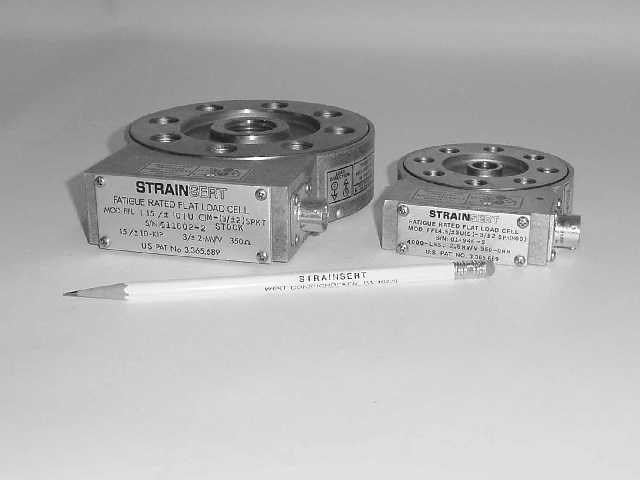 For over four decades, Strainsert Company has pioneered the miniature load cell industry. Strainsert’s patented designs are made possible by innovative internal processes and an unsurpassed dedication to engineering and customer requirements. For a product overview description, please go to Strainsert’s website or call a helpful staff member with any questions you may have. We supply Multi-Axis Force/Torque Sensors. Our F/T Sensors measure all six components of force and torque. ATI F/T transducers use silicon strain gauges for low-noise and high overload protection. Our sensors are used in robotic assembly, robotic material removal, product testing, biomedical and biomechanical research. We've got the products for all of your load cell needs! HITEC has over 45 years of industry experience that we put to work in designing our products. We do this because we want to offer you a product that will add value to both our business and yours. Call us today for more information! Our belief is that quality products will keep our customers coming back. We have a history of continual growth and we believe that our success speaks for itself. Whether you are looking for miniature load cells or a strain gauge, we’ve got you covered! Our products are manufactured from the highest quality materials and are built to last. Make your job easier, reduce annual calibration costs, and improve cycle time by performing more calibrations with less equipment. Common capacities force load cells, indicators, and software are in stock now, most equipment available in 1-2 weeks with ISO/IEC 17025 accredited calibration. Please give one of our representatives a call today! Miniature load cells are available in an assortment of sizes and form factors. Two main factors determine the form factor. The first is how the load cell is connected to the structure. Whether the load cell is going to be used for tension, compression, or tension and compression is the second important consideration. 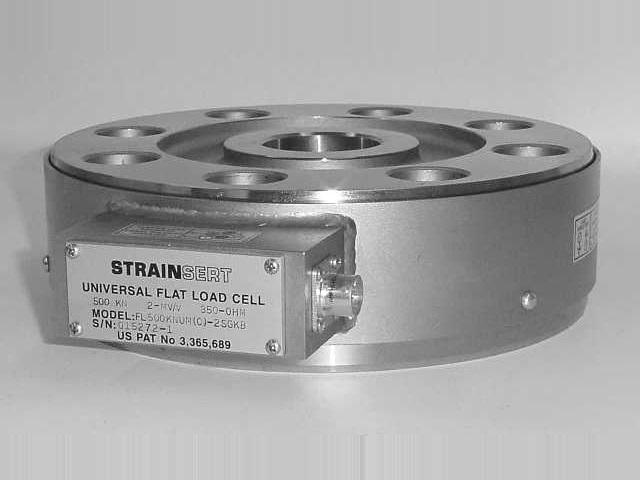 Miniature load cells are small units that can fit into tight areas. It is one of many specialized load cells meant for a specific function, including donut load cells, beam load cells and button load cells. In particular, the miniature load cell produces around 4mv/v output and is a full bridge strain gauge design. Also known as the Wheatstone bridge equation, this formation of sensors connected by circuits, functions well because it utilizes numerous sensors instead of just one. This enables the load cell to get the most accurate and efficient readings every time. Sensors within load cells are usually one of two styles; strain gages, which use a coil or piezoelectric sensors, which use a crystal. Both function through the deformation of their structures when weighing an object, be it compression or tension. The deformation of their structure is then translated into an electric current that is outputted in either an analog or digital fashion and then made readable through a computer. Analog outputs have a variety of different styles, including analog frequency, analog voltage and analog current. The compression style of measuring involves the negative force, or “push-together” force of an object. Tension, on the other hand is measuring the positive force, or “pull-apart” energy of an object. These two models of measurement are the principal types of miniature load cells. With threaded studs on one end, compression models can be easily attached. Tensions/compression models assist in tension and compression because they use threaded rods on both ends. Typically, load cells are made in a few set load ratings, such as five hundred or one thousand lbs. Miniature load cells, in contrast, provide maximum voltage output with a small, specific load rating that can be customized instead of having to be purchased from a catalog. Load cells are offered in various accuracies, which are influenced by the size-to-load capacity and the construction of the load cell. Like other size load cells, miniature load cells are utilized often in the medical, aerospace, automotive and robotic industries.